Dierks Bentley, Jason Aldean, Kenny Chesney, Little Big Town, and reigning Entertainer of the Year winner Taylor Swift each received three nods, as well. Swift, who releases Red next month, will have a chance to snag her third trophy in the category. She's nominated alongside Aldean, Chesney, Paisley, and Shelton. Kelly Clarkson broke through in the female vocalist category, joining previous nominees Swift, Lambert, Underwood and Martina McBride. It's Clarkson's first individual CMA nomination. She and Aldean won musical event last year for their duet "Don't You Wanna Stay." "The 46th Annual CMA Awards" will be hosted for the fifth time by Brad Paisley and Carrie Underwood and broadcast live from the Bridgestone Arena in Nashville, Thursday, Nov. 1 on ABC. 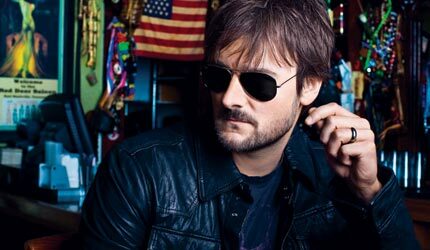 It a great news that Eric Church has domineered for CMA Awards .